'Jesus Christ the Lord' is all about the person who has radically impacted the author’s life- Jesus Christ. Dr Stephen gives an insight into the personal and powerful spiritual encounters with Jesus that he has been blessed with. 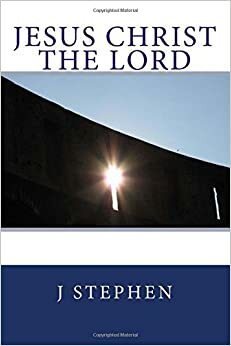 He also examines the writings and sermons of great Christians and provides concise, yet effective, Biblical insights into person and divinity of Jesus Christ. This book will offer you an enhanced understanding of Jesus Christ as: - the revelation of the invisible God - the Son of God, the Word manifested in flesh - God's greatest gift of love for the mankind -the Lamb of God that takes away the sins of the world -the Lord who heals - the Lord who cares for all - the Lord and God Let this book guide you in your journey of faith and your knowledge of Jesus.